2016 saw Facebook move into the world of real-time video streaming. It is now possible for anyone with a smartphone and a Facebook profile to live broadcast videos of pretty much anything to a worldwide audience. Although Periscope and, the much less popular, Meerkat have been offering this service for some time; they do not have the massive global reach that Facebook has. Facebook Live is being used by everyone from cousin Billy at his 18th birthday party to celebrities and global brands. Why? Because it is so easy. How do I stream live on Facebook? Choose the live broadcast button. Write a short but compelling description of what your broadcast will be about. That’s it. You are now live to a potential audience of thousands. 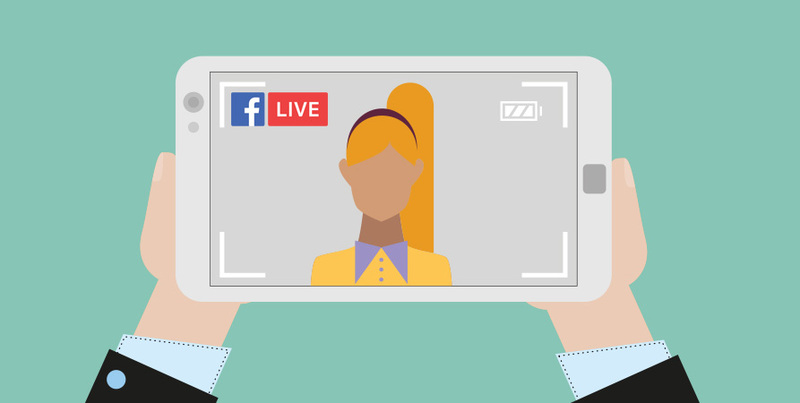 Facebook Live real-time video is a fantastic opportunity to create intimate relationships, authentic connection with your FB audience. The live stream will appear in the newsfeeds of your friends and followers and they can watch and comment in real time. If people make negative or inappropriate comments you can block them. You can choose to broadcast to selected users for events or groups. You can add filters and drawings to your broadcast. Tell people ahead of time that you are broadcasting so that they can be ready and prepare any questions. Respond to all comments and welcome new viewers by name. Build your following. Ask people to like your page or follow you so that they get notifications when you are live. Start off with short broadcasts to build your confidence and work your way up to staying live for longer, that way you will catch more of your followers. Using a closing line to indicate that the broadcast has finished. For further tips and advice take a look at these media best practices. For content inspiration take a look at The Live Blog where Facebook curates the best live videos from the previous week. If you’d like to discuss the best ways that social media can can work for your business and how the team at Flow can help with that then please give us a call on 0117 9775776 or drop us an email.